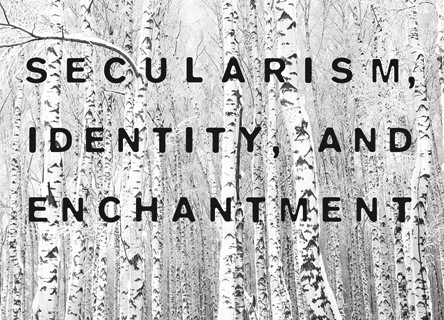 In this insightful collection of essays, written over the span of twenty-five years, Akeel Bilgrami, the Sidney Morgenbesser Professor of Philosophy at Columbia University, presents his wide-ranging and connected work in political philosophy, moral psychology, and modern concepts of secularism. As he indicates in the introduction, his essays have been markedly revised and expanded since their original publication. Though the ground covered by these essays is significant, I want to focus on a few representative ones, especially as they bear on religion. Bilgrami begins the first section on “Secularism” like most philosophers would: by offering a stipulative definition of the term and relating that definition to academic and political debates on the subject. He defines secularism as: A) a stance regarding religion that is B) restricted to the polity, and C) appeals to values that promote certain moral and political goods over corresponding harms. First, this means that secularism is a political doctrine and not a personal attitude. Not only should a secular state promote neutrality toward and equidistance from all religions in a religiously plural society, it should be able to defend the shared values of a polity (such as freedom of speech) that are formed independently of religion when those values conflict with particular religious laws (such as blasphemy). This does not mean that the state enforces the secularization of society by removing religion from the public sphere entirely, such as by banning religious dress. Instead, it seeks to build a secular polity by appealing to modes of reasoning that are internal to each community in that society. By and large, this reconstruction builds on the insights of classical liberal thinkers in the Western tradition of political philosophy, from John Stuart Mill to John Rawls. However, Bilgrami departs radically from this tradition when he goes on to claim that secularism may be an unnecessary policy to adopt, not because it is insufficient to deal with the contemporary “resurgence” of religion, but because it is the product of particular historical circumstances. Unlike many philosophers, Bilgrami understands that philosophy does not take place in a historical vacuum. He insists that historical understanding and conceptual analysis are inseparable enterprises, and thus proceeds to discuss the concept of secularism within the context of its development in early modern European societies. These societies were wracked by religious warfare and political strife, culminating in the devastation of the Thirty Years’ War. Moreover, the Westphalian Peace only gave rise to the nation-state, that infamous and lasting form of political sovereignty predicated on the discovery and extermination of an enemy within–minorities of religion, language, ethnicity, and so forth. Secularism as a political doctrine was formulated as a necessary counterbalance to the violent wreckage that internecine religious conflict, majoritarian politics, and nationalist sentiment had left on the continent. It is this historical trajectory, Bilgrami argues, that is embedded in present definitions of secularism. But is such a trajectory inevitable for all societies at all times? According to anti-colonial thinkers like M.K. Gandhi, the answer was no. Bilgrami is keen to recover Gandhi’s philosophical acumen (see his essay “Gandhi the Philosopher”) as well as his prescient political thought. At the time Gandhi was writing, Indians were struggling to liberate themselves from British imperial rule, and achieve political self-determination on their own terms. Although a clearly modernist thinker inspired by Western ideals of freedom and equality, Gandhi rejected European political models for an independent India. He believed that, unlike Europe, India possessed a long legacy of religious pluralism and a corresponding absence of political absolutism. For him, secular citizenship was not a precondition of democratic society, since it was a remedy specifically for the horrors of European nationalism (and its logical eventuation in twentieth-century fascism), a method of politics most closely represented in the Indian context by the thoroughly modern ideology of Hindutva, or “Hindu nationalism.” Gandhi resisted the idea of an autochthonous, majoritarian Hinduism, as well as the indiscriminate universalization of secularist governance, both of which he considered illegitimate imports of European modernity. That India after Gandhi has undergone precisely the changes he sought to forestall, and may require the secularist ideals previously enunciated, does not detract from Bilgrami’s theoretical point about a society in which secularism as a political ideal may be circumvented entirely. In the two centerpieces–indeed, masterpieces–of the volume, “Gandhi (and Marx)” and “The Political Possibilities of the Long Romantic Period”, Bilgrami weaves together the moral philosopher’s concern with conceptual clarity, the intellectual historian’s sensitivity to context, and the critical theorist’s interest in the subjunctive modality of genealogical accounts–that is, the translation of “what is?” into “what if?” The first essay performs the ingenious if non-intuitive intellectual task of putting Gandhi and Marx in conversation as political philosophers. Bilgrami suggests that each found his own way to deal with the constitutive tension between two staple Enlightenment concepts, equality and liberty, a tension that has continued to define the theory and practice of modern politics. They did so by centering the fundamental goal of politics on the question of the “unalienated life.” While Marx diagnosed the alienation that afflicted modern capitalist societies by focusing on the particular economic apparatus that created its conditions, Gandhi addressed alienation at a more general level, to which he frequently gave religious language. Namely, Gandhi identified as the source of European modernity’s civilizational malaise the scientific attitude of detachment (of the wrong kind) in one’s relation to the world and its inhabitants: desacralized, objectified, manipulable. What Gandhi opposed, Bilgrami clarifies, was not science itself; rather it was the “dominant status” that modern science, under the purview of powerful and worldly interests, had come to possess in a culture predicated on unbridled profit. While Gandhi and Marx differed considerably as to where they located the source of alienation, they shared the belief that it could be overcome by reordering the relations between a) humans and nature, and b) humans and other humans, so as to invite moral engagement with the other as an agentive subject. This unalienated life requires that we view both nature and its inhabitants as making normative demands on us, which need not take a specifically religious quality. Instead it may be understood as a kind of secular re-enchantment that makes reference to value properties rather than the sacred. By focusing on the ways Gandhi and Marx dealt with disenchantment of this sort, Bilgrami situates them within what he calls the “long” Romantic tradition. Comprised of a loosely connected group of philosophers, social theorists, and artists, the Romanticist movement in late eighteenth-century Europe frequently looked to the natural world for a primordial innocence destroyed by a disenchanted modernity. The Romantic search for the sublime and the transcendent has been frequently dismissed as unhelpful, or even inconsequential, to political struggle. Bilgrami demurs. Following the literary critic M.H. Abrams, Bilgrami characterizes Romantic metaphysics as one of “natural supernaturalism”: in other words, the notion that there is value and meaning in nature that is irreducible to the properties available for study by the natural sciences. This metaphysical outlook, Bilgrami claims, possesses political significance when we understand its origins in resistance to the large-scale social and intellectual transformations wrought by capitalist economies from the late seventeenth century onward. Beginning in England and the Netherlands, and later spreading elsewhere in Europe, the integration of an exploitative political economy with a Newtonian metaphysics that excluded all value properties from nature was propped up by worldly alliances between scientific organizations, commercial interests, and religious elites. An entire apparatus of political theory and law emerged from these alliances that bestowed institutional legitimacy upon a metaphysics that had exiled God from the world, an act that had devastating ecological and economic consequences. In Bilgrami’s genealogical account of the modern sources of alienation, of which he credits Gandhi with having a deep understanding, it is this intellectual orthodoxy which began to transform the concepts of a) nature into natural resources, b) human beings into citizens, c) people into populations, and d) knowledges to live by into expertise to rule by. Resistance to these unholy alliances in the early modern period came from a range of radical dissenters, from popular Christian sects to natural philosophers such as John Toland and Anthony Collins. Bilgrami includes Marx and Gandhi within this genealogy of resistance, since they exemplify the way in which the long Romantic tradition centered the pressing political problems of modernity on alienation and disenchantment. That the Romantic political, aesthetic, and often spiritual response to alienated relations shares a close affinity with indigenous experiences of the world should make us pay attention to those forms of local, collective, public understanding that resist the imperialism of a disenchanted, rapacious modernity. For an enshrined academic philosopher, Bilgrami is remarkably attuned both to history and to the politics of the everyday. The concluding essays on Muslim identity and on anti-colonial critiques of the West continue Bilgrami’s democratic commitment to understanding, with conceptual and historical rigor, how various peoples have sought and might seek “solidarities and community” in a disenchanted world. Far from being a philosopher with passing interests in political theory, Bilgrami proves his credentials as a public intellectual in the mold of his late friend and colleague Edward Said, whom he eulogizes at the end of the volume. The book itself represents a fitting tribute to Said’s own colossal legacy. Anand Venkatkrishnan is a PhD student in the Department of Religion at Columbia University. His dissertation, titled “Mīmāṃsā, Vedānta, and the Bhakti Movement”, studies the impact of the “bhakti” traditions of religious devotion on orthodox systems of Sanskrit scriptural hermeneutics in medieval and early modern India. His research interests include the intersection between popular religious movements and scholarly pedagogy, the history of Sanskrit knowledge-systems, and Indian intellectual history more broadly.